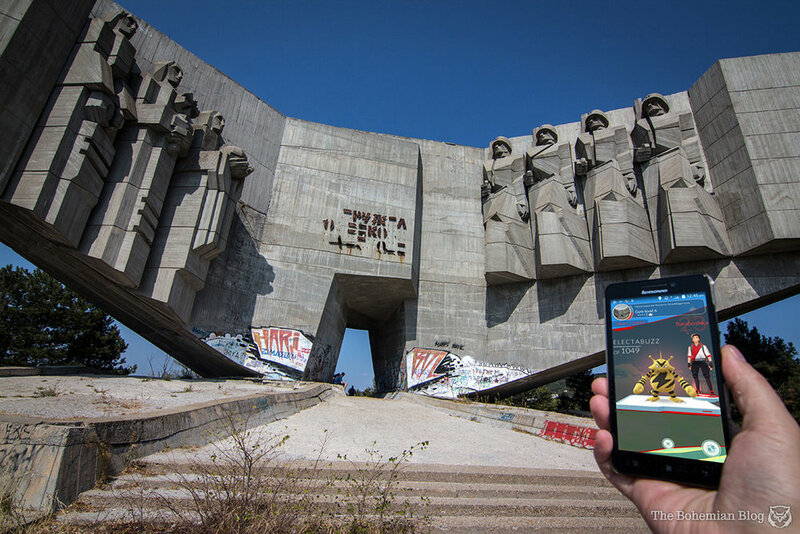 It seems that not even Buzludzha has escaped the global gaming phenomenon that is Pokémon Go. A recent article at The Bohemian Blog reveals that the Buzludzha memorial complex features in the augmented reality game as a cluster of four playable locations (two gyms and two pokéstops). The article's author, Darmon Richter, believes this is a good thing. "The game’s system of world-building had the effect of stripping away politics from what included some highly contested sites. It broke taboos, and valued objects of communist heritage with equal weight to more conventional attractions. If this is the start of a new trend in gaming – if future generations are to grow up experiencing the world through similar platforms – then it hints at a growing cultural shift towards the depoliticisation of 20th century ideological architecture, even in countries where that history is still now a subject of division." Park-Monument of the Bulgarian-Soviet Friendship (Evgeni Baramov, Alyosha Kafedzhiyski & Kamen Goranov, 1978). Varna, Bulgaria. Arch of Liberty (Georgi Stoilov, 1978). Beklemeto Pass, Bulgaria. Fraternal Barrow (Lubomir Shinkov & Vladimir Rangelov, 1974). Plovdiv, Bulgaria. House-Monument of the Bulgarian Communist Party (Georgi Stoilov, 1981). Buzludzha Peak, Bulgaria.